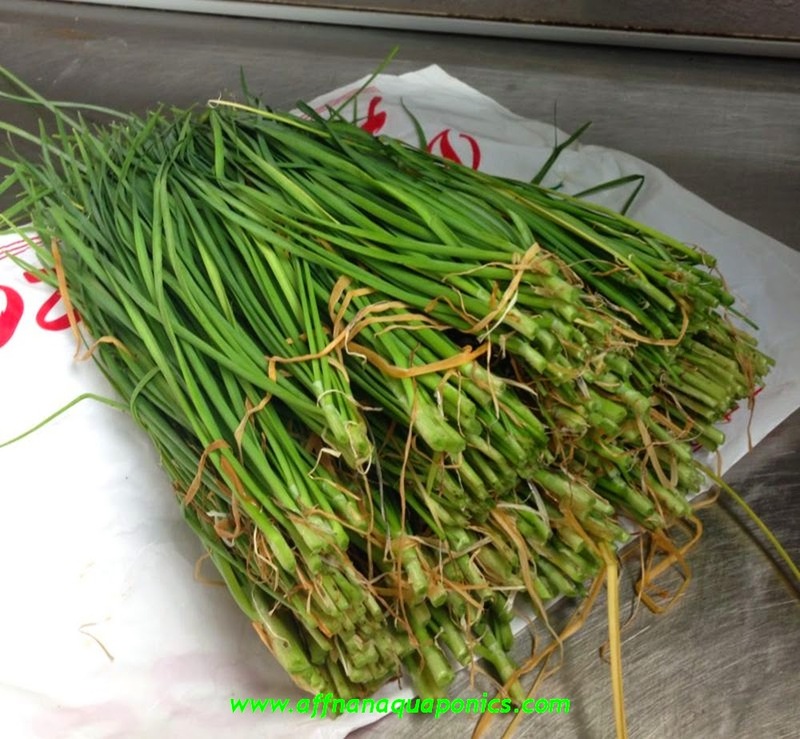 Garlic Chives, its time to cut and let it grow, if not it will just dry up and waste. This tub full is more than enough for a family to use. On average a family of five will need the most is 1 square feet of Chives. This growbed is 6 square feet. 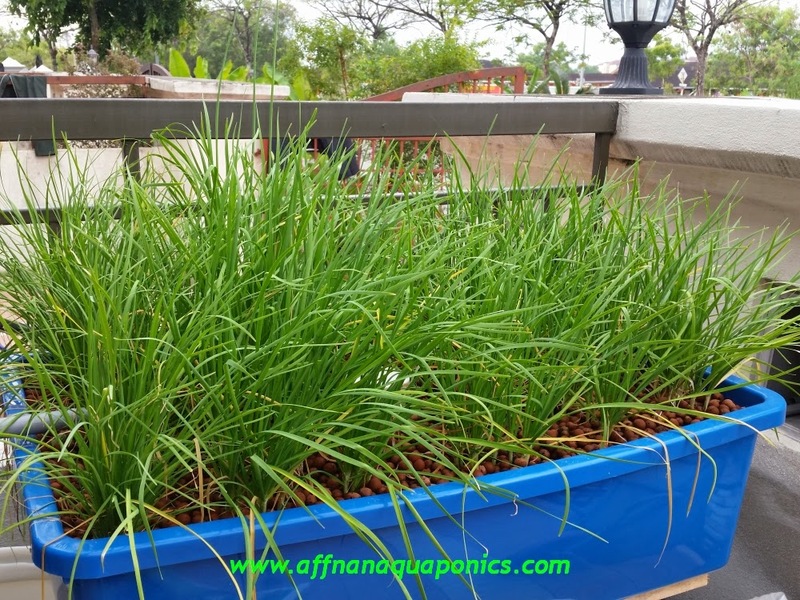 Easiest plant to grow and it is useful in Asian dishes, it do well in Aquaponics, too well actually. So the above were cut to this below and let it grow again. In 2 weeks time will be ready to cut again. On average we need only 2 cluster for cooking and usually once a week, so this is more than enough. All gone, and do some quick cleaning and removal of old dead grass blade. 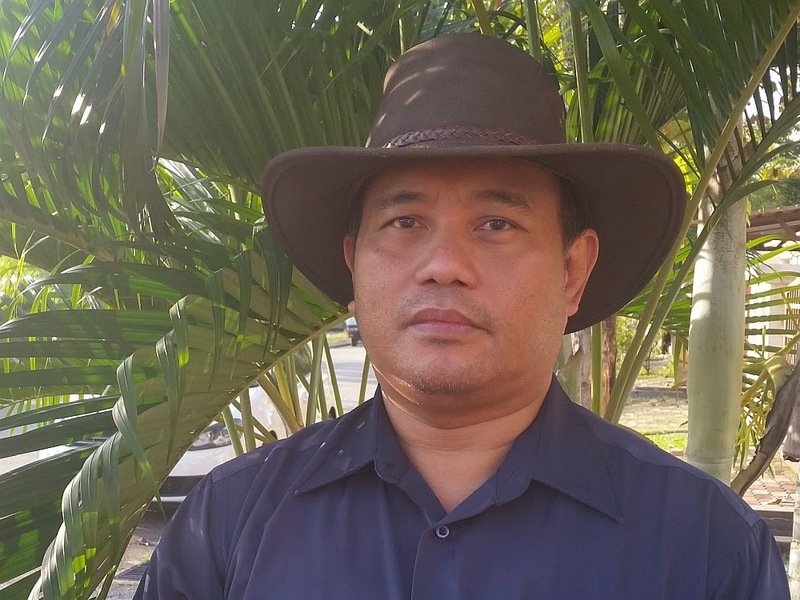 This can be easily grown and actually make money even on a small scale. 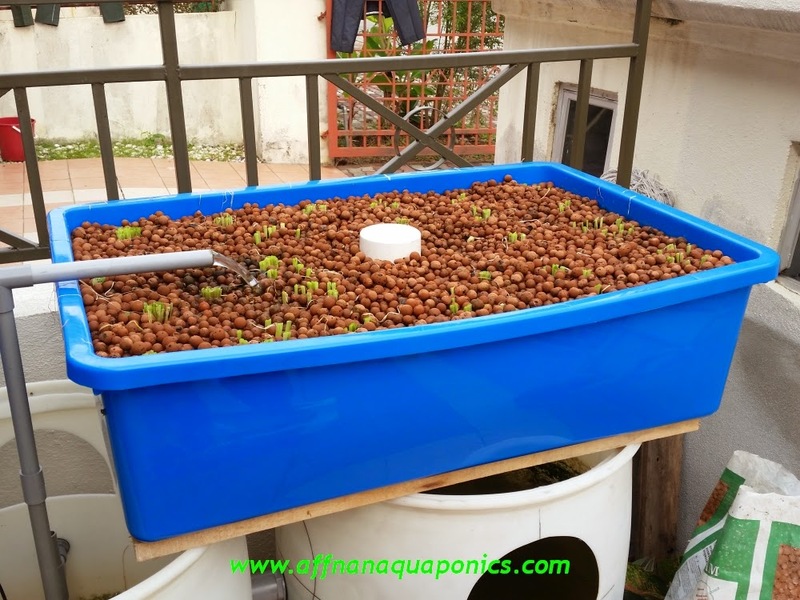 Returns use to pay electricity bill and fish feed on the Aquaponics system.